At Gatewell, we’re strong proponents of the intuitive eating and “all foods fit” philosophies. That’s why we were thrilled when our in-house registered dietitian, Christine Tellez, shared this easy recipe. Christine’s Taco Meat recipe kicks off a series of easy recipes featuring Latin-American cuisine, in honor of Hispanic Heritage month. So many ingredients associated with Latin-American cooking have gotten a bad rap recently in our current carb-fearing climate. We’re here to take back the beans, the corn, the rice, the tortillas, and to help you develop a healthy, pleasurable, and sustainable relationship with food. This easy recipe is perfect for a quick weeknight dinner. By adding beans and mushrooms to the mix, we increase the fiber and add in some extra flavor as well. This makes a good amount of leftovers and can be added as a quesadilla filling, served over rice, greens, and even sweet potatoes. Add your favorite toppings to make it a delicious, balanced meal. Dice your ½ onion and mushroom and set aside. Add in ground meat of choice and cook for a few minutes. Then add in mushrooms. Cook until meat is browned. Add in taco seasoning mix, water, and beans. Turn down heat and simmer until water is soaked up. Serve in a tortilla, over rice, add to a quesadilla, on greens, or over a sweet potato. Top with sour cream, avocado, guacamole, salsa, tomatoes, and other toppings that you love. 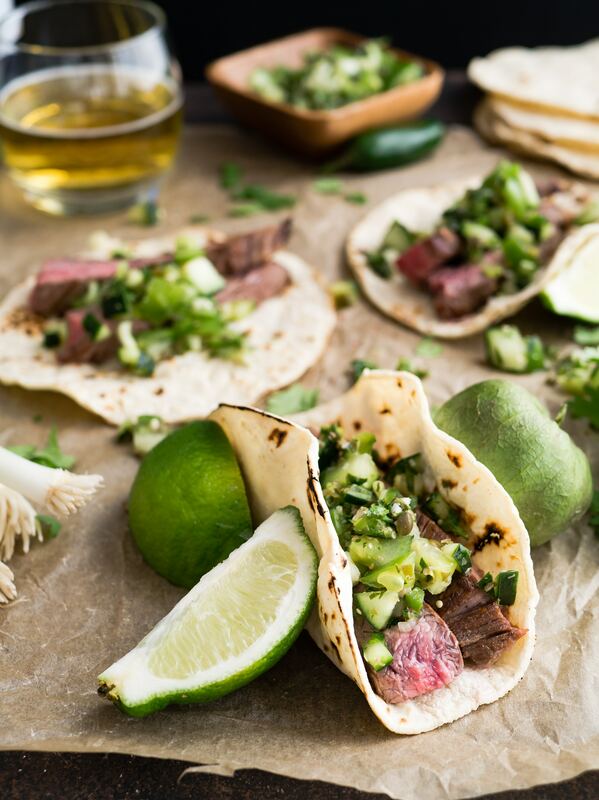 Happy National Taco Day – enjoy! Previous Post Mental Heath Insurance – To Claim or Not to Claim?